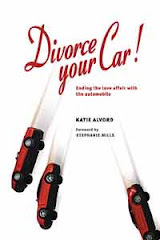 "Save the Planet One Trip at a Time"
In case you haven’t seen it yet, the latest essay recounting my particular approach to car divorce appeared in the December 2010 / January 2011 issue of The Progressive. “Save the Planet One Trip at a Time” tells how I get around these days and suggests a few ways we can all free ourselves from the “need” to drive so much. I first started reading The Progressive in the 1980s when I worked at the Napa City-County Library. You have to love a journal that's been around so long -- more than 100 years now -- and that takes such a strong stand against disenfranchisement, and for peace, social justice, and the environment. The December 2010 / January 2011 special issue on “Saving the Earth” continues that long tradition. The entire issue is nicely done and well worth a look, with essays and interviews by and with Barbara Kingsolver, Wendell Berry, Vandana Shiva, Bill McKibben, and others. 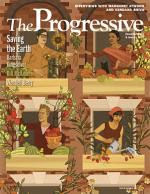 Check it out by going to www.progressive.org, where subscribers can access full text of the magazine online.